Methodologies for integration become a competitive tool as complexity and possible options skyrocket. As chip complexity increases, so does the complexity of IP blocks being developed for those designs. That is making it much more difficult to re-use IP from one design to the next, or even to integrate new IP into an SoC. What is changing is the perception that standard IP works the same in every design. Moreover, well-developed methodologies for reuse can give a chipmaker a competitive advantage. The final shape of the design depends on various factors, such as application demand, and interfacing or power requirements, all of which increase the number of possible configurations. There are numerous efforts underway to help minimize those challenges, including standard protocols like AMBA AXI or ways to tie them together with an on-chip interconnect. Nevertheless, the ‘how’ of IP reuse is often a closely guarded secret. For large chip companies, it is a critical factor in being able to get huge chips out the door in a predictable fashion. Among the industry’s leading semiconductor players, a great deal of attention is paid to methodology and to standardizing within the context of the preferred flow. This means that Qualcomm puts together chips differently than Broadcom or Intel. IP vendors also have to design their IP with re-use in mind, a concept that has been talked about for at least two decades. Case in point: A book entitled “Reuse Methodology Manual for System-on-a-Chip Designs” was published in 1998. It is now in its third edition. In addition, the introduction of a methodology into a company can be ‘new’ for the company but the basics of reuse stay more or less the same, Swanson said, with design complexity perhaps the biggest change. Specifically, technologies like Ethernet, the addition of Time Sensitive Networking (TSN), and new speeds like 25G make IP more complex — and this has happened to many IP titles, he said. 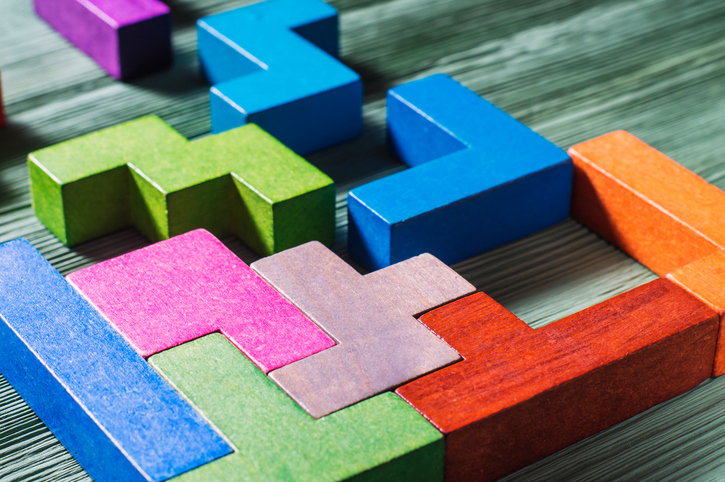 More companies also are looking to re-use a market-targeted subsystem, meaning more complex IP interconnected to create a larger IP block. And to be more productive, companies want to enable more automation, which lends itself to a well-defined methodology. Because the cost of integration is an inherent part of the cost of acquisition of a piece of IP, a great deal of work has had to go into developing a vocabulary, as well as systematic ways for people to be able to deliver IP blocks that are reasonably reusable. To be sure, the work that must be done to make a piece of IP work in one particular context versus the work that must be done to make something reusable by strangers in a wide range of other contexts are hugely different. In some cases, 10% of the cost of developing a piece of IP is the IP itself, while 90% of the cost goes toward building the infrastructure,and designing it in such a way that it can be readily re-used. Further, once an IP team — whether internal or third-party — has developed that capability, even if it does cost 10X more to develop it for reuse, it gets re-used a lot more than 10 times. So the real cost that somebody is paying for that can be much lower than if they did something from scratch themselves, even given the fact that design for one time use is so cheap compared to designing for reuse, Rowen added. That’s not to say IP reuse is without its share of problems, though. That knowledge is critical because in many respects, IP reuse is a forward-thinking concept. And that’s not easy because once the IP is changed from one product to another, the register map goes out the window. In order to maintain the register map, the IP must be managed intelligently. As far as how IP reuse evolves, time will tell but given things like safety and security being built in where it wasn’t before, along with IP blocks getting bigger and bigger calling into question the very definition of an IP block, one can imagine a hierarchy of IP, he said. Here is a link that exposes a lot of what an OOP compiler does to compile OOP classes that are analogous to HW IP blocks. HDL compilers are totally useless when interconnecting and debugging IP, so defining IP as classes would allow IP compilation and debug using the SW development. I posted this same link on Sperling’s CPU and FPGA article. The HDL compilers need a lot of fixing because HDLs are too primitive. Thanks for that link, Karl. The long list of comments are an insight to the real world. Despite the recent push toward high level synthesis (HLS), hardware description languages (HDLs) remain king in field programmable gate array (FPGA) development. Specifically, two FPGA design languages have been used by most developers: VHDL and Verilog. Both of these “standard” HDLs emerged in the 1980s, initially intended only to describe and simulate the behavior of the circuit, not implement it. However, if you can describe and simulate, it’s not long before you want to turn those descriptions into physical gates(FPGA s are not gates, they use LUTs). For the last 20 plus years most designs have been developed using one or the other of these languages, with some quite nasty and costly language wars fought. Other options rather than these two languages exist for programming your FPGA. Let’s take a look at what other tools we can use.